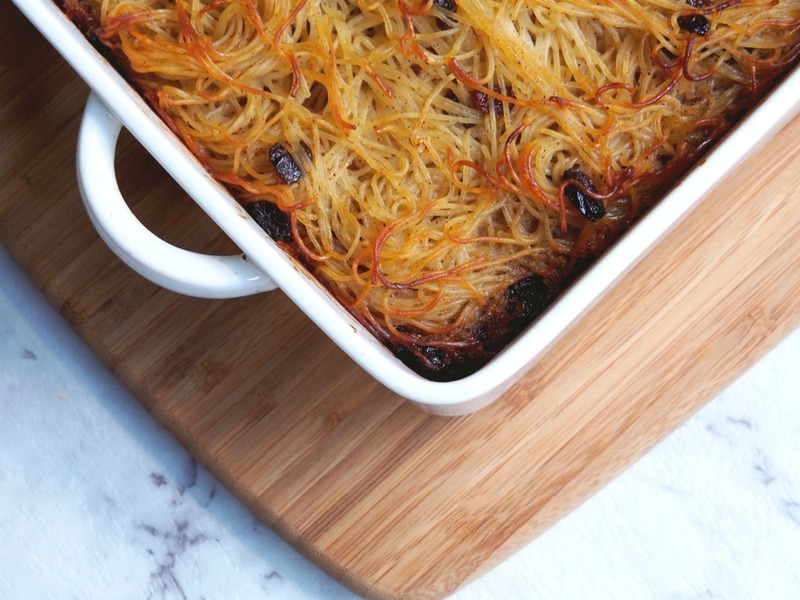 This baked noodle pudding is delicious warm or cold, on it’s lonesome or with a side of ice cream. 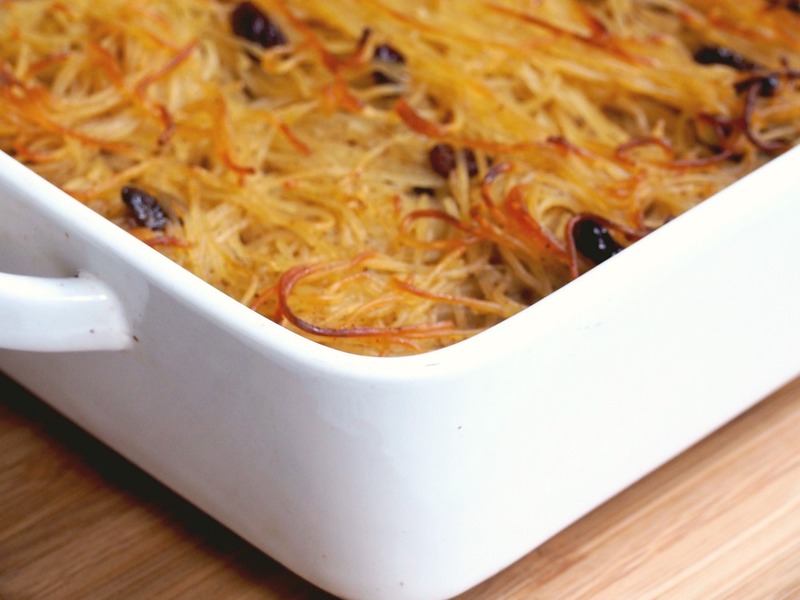 I bet know what you’re thinking, a noodle pudding is a paradox! But it’s a very delicious paradox at that. 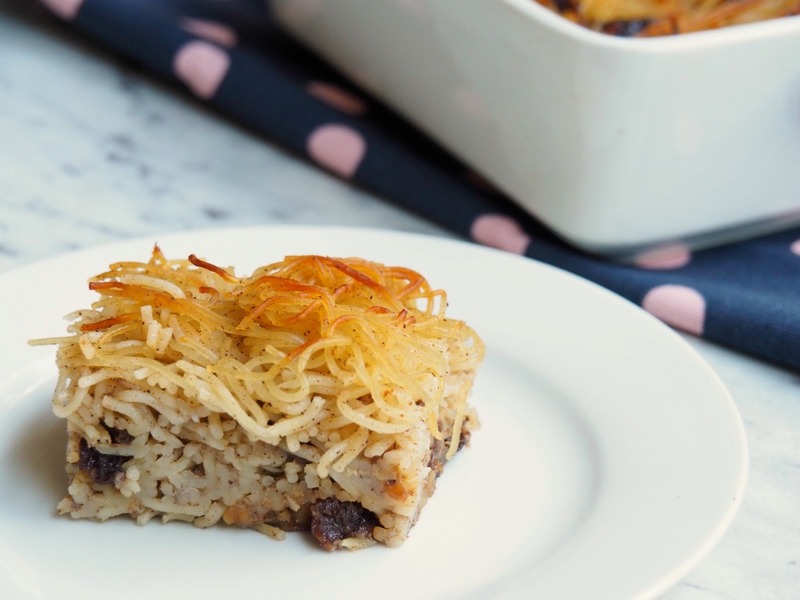 Some people call this a kugel which is the Yiddish word for casserole or pudding and the kugel originated 800 years ago and became a staple with Jewish families across Eastern Europe. Kugels could be savoury or sweet but they all had three basic ingredients, eggs, fat and starch. 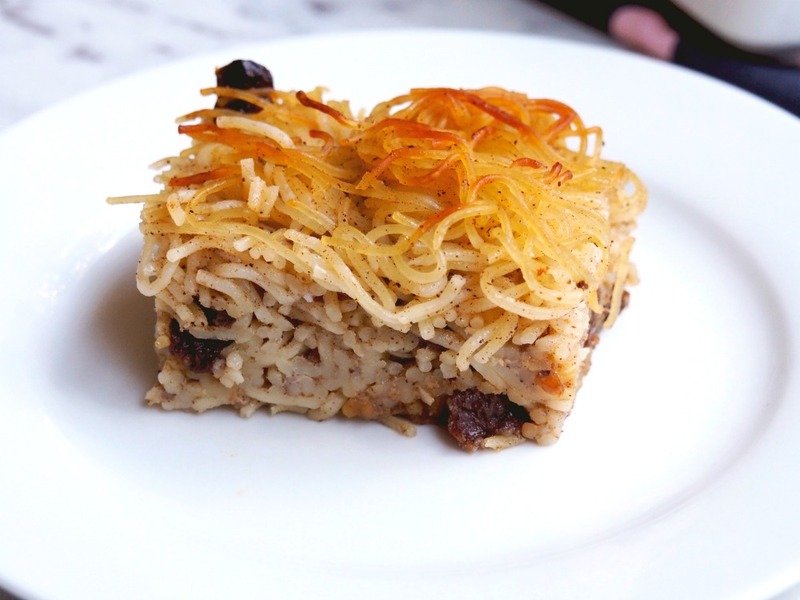 For me though, this dish dates back to my childhood, when my Auntie Sandra would bake this for dessert on those special Friday night dinners. I would look forward to eating this all week. After my cousins and I had fought over who would get the crispy, crunchy bits, we used to have it with ice cream and by golly, it was good. 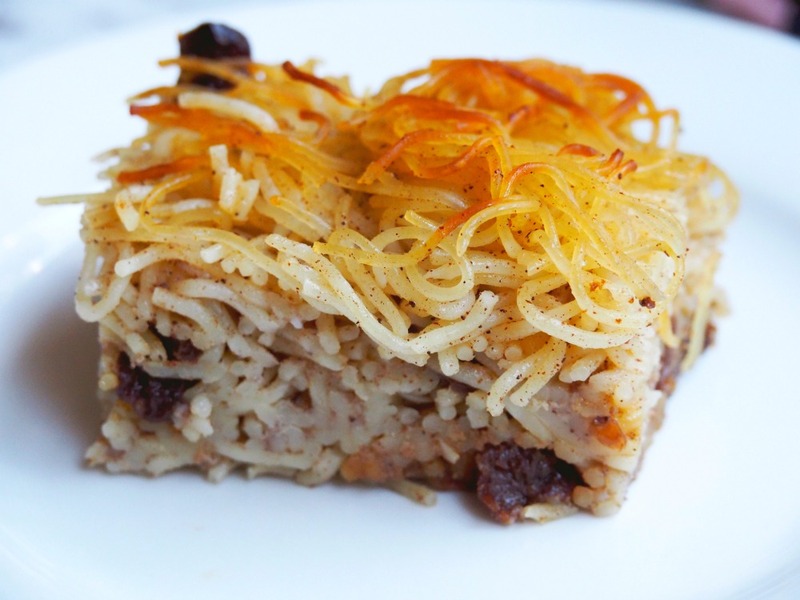 And if you’re wondering how this pudding got it’s name, Lokshen is the Yiddish word for noodle. Doesn’t Yiddish have the best sounding words?! 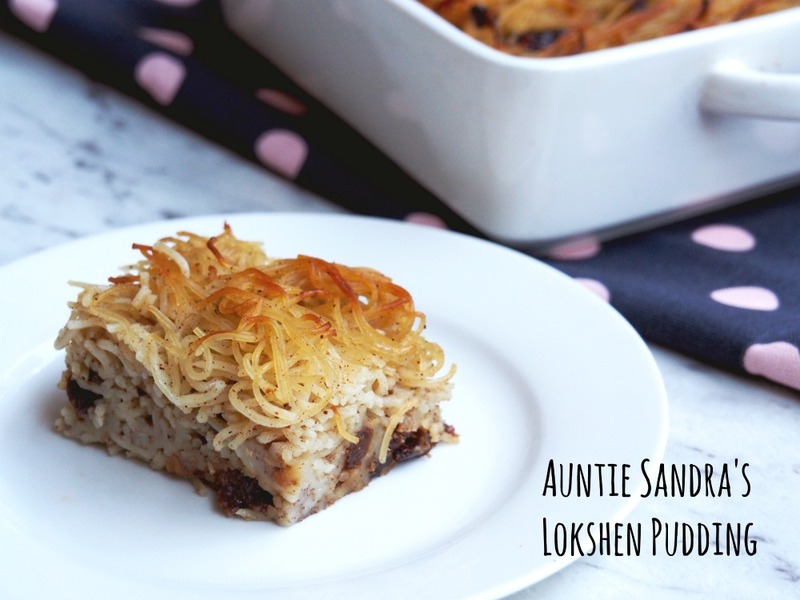 I rarely make Lokshen Pudding these days because it is just so scrumpdiddlyumptious that I cannot stop eating it so I should warn you that if you make this, you might get addicted to it too. This is Auntie Sandra’s special recipe (she of the famous Chicken Soup fame) and a very forgiving recipe it is too. It’s both cheap and easy to throw together. You can use broad or fine egg noodles, they both taste all kinds of awesome. Have you got a favourite family recipe? What’s the one food you can’t resist? Melt butter in a dish in the oven. Combine eggs, sugar, cinnamon , lemon juice and salt. Add to the noodles. Add melted butter and raisins. Mix thoroughly. Place in a liberally buttered casserole dish and bake at 200 C / 180 C fan-forced until lightly browned (about an hour.) My oven is a bit fierce and it burns really quickly, if it’s browning too fast, loosely cover with foil. Serve the pudding with ice cream or cream, but it’s just as delicious on it’s own.